The research department of the entity highlights a positive evolution in sales of homes and an acceleration in the growth of prices. 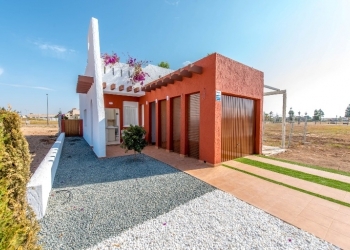 This is the latest Real Estate Observatory in Spain, prepared by BBVA Research, the financial institution's study service, which shows a positive evolution of housing sales, as according to data from the Centre for Statistical Information of Notaries (CIEN), in the month of March sold 48,695 homes. On the other hand, housing price growth accelerated in the first quarter of 2017. According to the Ministry of Development, the average price of housing in the first quarter was 1,525.8 euros per square meter, 0.7% (CVEC), 0.2 percentage points more than in the fourth quarter of 2016. On the other hand, in the first quarter the year-on-year evolution showed an acceleration of the growth rate until the 2.2%, 0.7 percentage points more than in the previous quarter. The construction activity, also in growth. Finally, the first quarter of 2017 ended with a new growth in construction activity. The practical stagnation of new housing visas for March (-1%) did not prevent the first tranche of the year from ending with a year-on-year increase of 18.7% in visas. Thus, the first three months of the year approved the initiation of almost 20,000 homes, 3,141 more than in the same quarter of 2016.